The Wulfsport CrossFlite MX Helmet is packed with features.. The Wulfsport WSX-4 Junior MX Top is packed with features..
TheWulf Cub Abstract Kids MX Goggles are packed with features.. BRAND NEW WULFSPORT KIDS OFF ROAD JACKET. AVAILABLE IN MANY COLOUR AND SIZES. JUST CLICK THE SIZE YOU REQUIRE AT THE TOP OF THE PAGE. 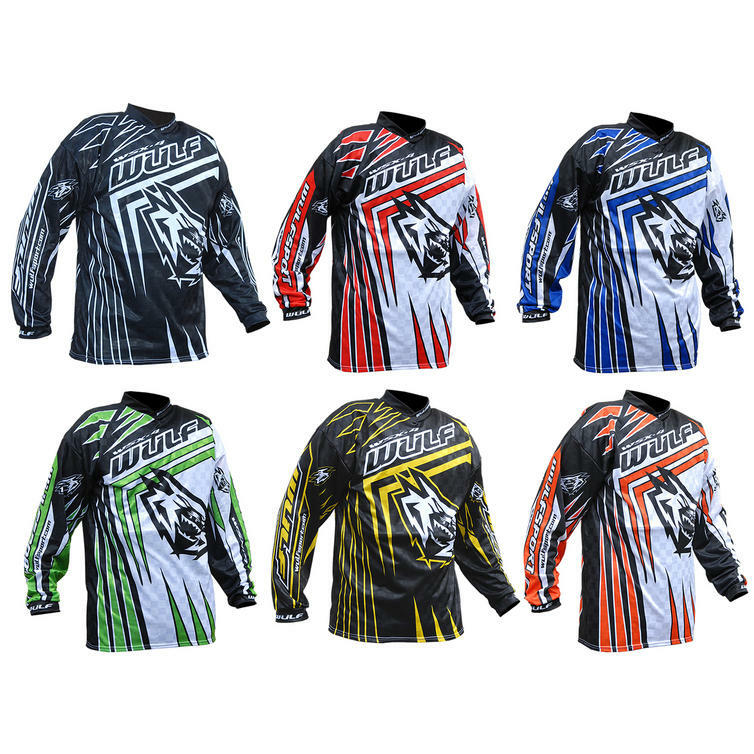 Wulfsport is one of the UK's leading manufacturers of off road helmets and clothing. Much of their clothing is still made today in Scotland. Wulfsport Stratos Race Pants are fully washable and a tough pair of race pants for the young rider. The Wulfsport matching Stratos Race Shirts are also available. The Wulf Hinged Protective Kids Knee/Adult Elbow Pads are packed with features.. Essential for motocross and quad biking. The Wulfsport 2013 Libre X Motocross Helmets are packed with features.. The Wulfsport Prima Speed Motorcycle Helmet is packed with features..
Latest ECER22-05 standard for road use. The Wulf GP-F Off Road Boots are packed with features.. The Wulfsport Full Deflector Jacket is packed with features.. The Wulfsport Evolution Deflector is packed with features.. 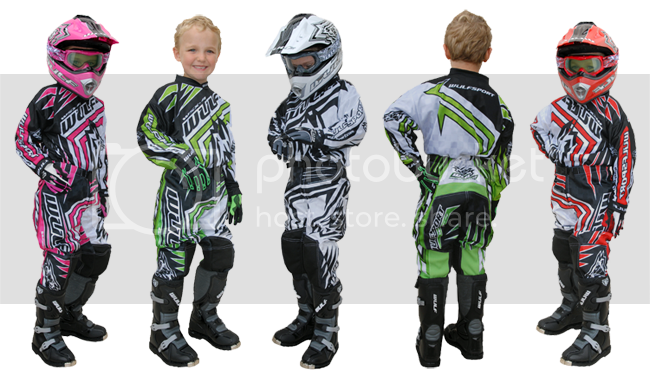 The Wulf WSX4 Junior MX Pants are packed with features..
Wulfsport WSX 4 Adult MX Jerseys are packed with features. The Wulf Shade Motocross Racing Goggles Racer Pack is packed with features.. The Wulf Shade Motocross Racing Goggles are packed with features.. The Wulf Abstract MX Goggles are packed with features.. The Wulfsport Stratos Motocross Gloves are packed with features.. The Wulf Hinged Protective Knee / Shin Pads are packed with features..